By divine instruction we assemble semiannually in these great conferences to worship God, our Eternal Father, and declare—through the gift and power of the Holy Ghost—the sonship of Jesus, our Savior and Redeemer, whom to know is to have life eternal (see John 17:3). 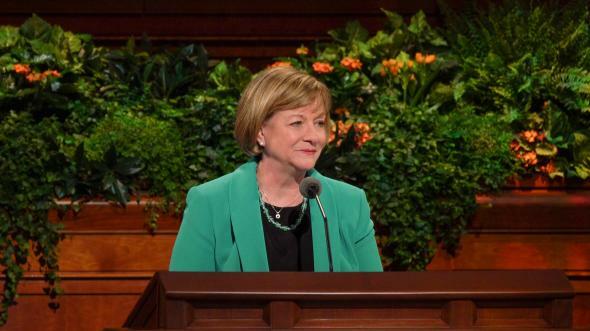 By participating in these conferences and witnessing the spirit of prophecy, each of us builds up our faith and our desire to live in righteousness. We receive inspired counsel from those appointed to administer the affairs of His kingdom, a kingdom destined to grow in power and to expand until it shall fill the earth. It is the kingdom which the prophet Daniel declared “shall never be destroyed: … it shall stand for ever” (Dan. 2:44). 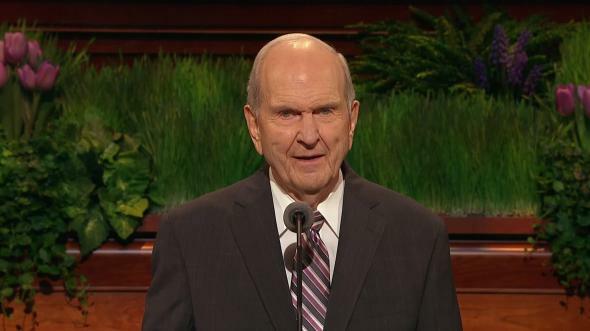 As we near the close of this historic conference, we declare that true doctrine has been spoken by men who seek the Savior and who believe in him, thus making known his will—not only to his Church, but to individuals who humbly seek him. Our position among the Christian denominations of the world is unique. We are not affiliated, either directly or indirectly, with any other so-called Christian or non-Christian church. 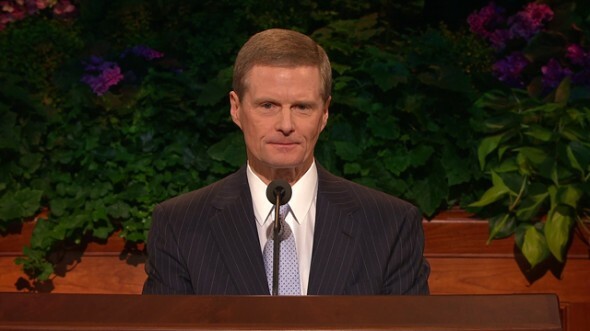 The Church of Jesus Christ of Latter-day Saints does not have, nor has it ever had, any connection or relation with any other church or religious group. This Church holds the keys of the power of God unto salvation unto every soul that will receive the gospel honestly and obey it (see Rom. 1:16). As covenant children of God, we have been promised that if we are faithful, we will prevail over the enemies of his work. By our faithfulness and righteousness, the evil influences of wicked and designing men and women will be subdued. We are those who have the responsibility to prepare the world for the coming of the Savior, who—in power and glory—will again return to earth. At the time the Savior and his twelve Apostles were laboring along the coast of Caesarea Philippi, the Savior asked them, “Whom do men say that I the Son of man am? (Matt. 16:13). The Lord taught that his Church was to be built on the rock of revelation, of divine truths revealed by God himself, and that Christ is the Son of the living God; therefore, the gates of hell shall not prevail against his Church. The keys of the kingdom were promised to Peter, and he exercised that authority as he associated with the other members of the Twelve and presided over them. There were a number of occasions when the Savior took only Peter, James, and John with him, undoubtedly for additional spiritual experiences and instruction. When Jesus went up into the Mount of Transfiguration to prepare for his coming ordeal, he took these three Apostles with him so that, having seen his glory—the glory of the Only Begotten of the Father—their hearts would be fortified and their faith strengthened as they gazed upon this heavenly event. There they received the promised keys of the priesthood. During this heavenly event Moses and Elias also appeared, and the three Apostles heard the voice of the Father bearing witness that Jesus is his Beloved Son and the command that they were to hear and obey. In August of 1830, a revelation from the Lord confirms the ordination of Joseph Smith and Oliver Cowdery to the Apostleship and their receiving the keys. 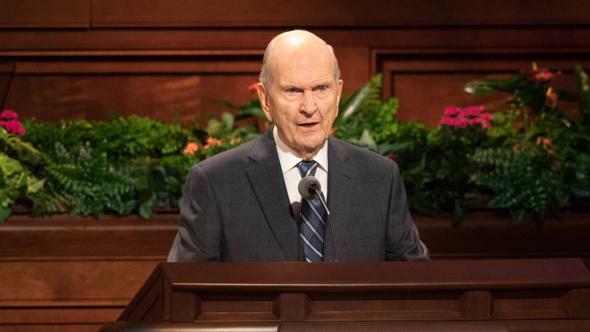 The keys of the kingdom were bestowed upon Joseph Smith and Oliver Cowdery by these three ancient Apostles to whom Jesus had given authority following his resurrection and after he had ministered among them. “Unto whom I have given the keys of the kingdom, which belong always unto the Presidency of the High Priesthood” (D&C 81:1–2). These same keys of the kingdom held by Peter, James, and John, who served in the First Presidency in the dispensation of the meridian of time, and conferred upon Joseph Smith and all subsequent Presidents of the Church, are now held by President Spencer W. Kimball today. He holds this supreme authority. He holds the right of revelation and decision for the priesthood and for the Church. 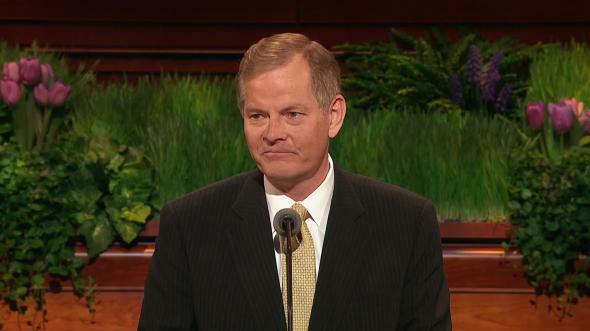 In President Kimball is concentrated the governing power of the priesthood. He possesses the keys pertaining to the dispensation of the fulness of times, including all the keys of former dispensations (see D&C 112:30–32). There is never but one on the earth at a time on whom these keys and powers are conferred. 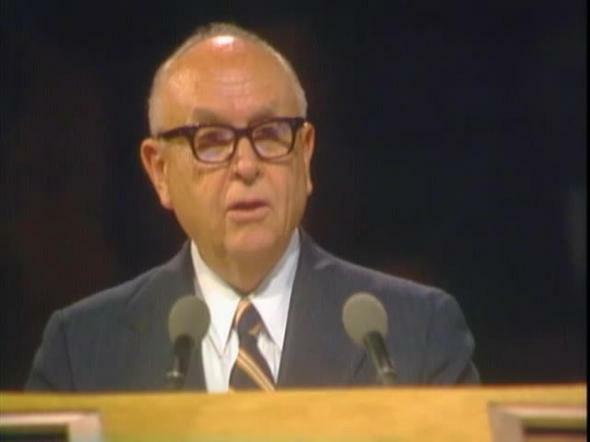 President Kimball, who will speak to us in a few moments, is God’s prophet. To associate closely with President Kimball, to be near him, is to feel of his love for the Lord and his love for people—people everywhere. The Lord has preserved him to preside over His church at this critical period of the history of the Church and of the world. It is for him to decide the course we follow. We are witnesses of his inspired decisions and directions, which give to us a feeling of assurance and calmness. We can follow his direction with utmost confidence and trust, for God has placed a holy man, His servant, to guide His people. William Fowler, a British convert of 1849, was so moved by the very thought of a prophet of God living among the people that he wrote those stirring words: We thank thee, O God, for a prophet to guide us in these latter days (Hymns, no. 196). That revelation continues: “All have not every gift [but] … every man is given a gift by the Spirit of God. “To some it is given by the Holy Ghost to know that Jesus Christ is the Son of God. The Lord then follows with this promise, if we obey: “For by doing these things the gates of hell shall not prevail against you; yea, and the Lord God will disperse the powers of darkness from before you, and cause the heavens to shake for your good, and his name’s glory” (D&C 21:6). The work we have been assigned to do has been placed by the Almighty in the hands of a fearless leader. By your sustaining with uplifted hands, you have pledged to follow our prophet. He is the mouthpiece of the Lord. The Lord, speaking to the Church in this dispensation and referring to its authorized leaders, said: “They shall speak as they are moved upon by the Holy Ghost. 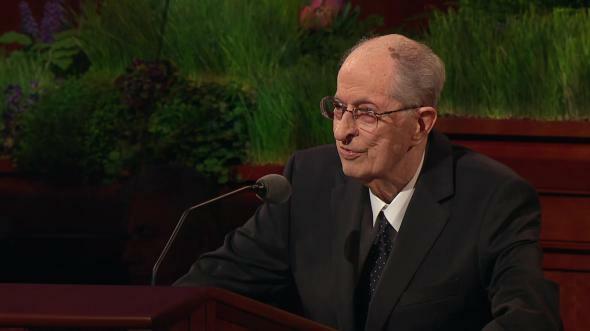 President Kimball holds all the keys for the Church to accomplish its divine mission—keys to preach the gospel to every nation and people, to organize stakes of Zion throughout the world for the gathering of Israel, to build holy temples for performing sacred ordinances for the living and for the dead. This holy work, as revealed through latter-day prophets, is to prepare for the glorious coming of the Son of God to reign over the earth. Nothing is more explicitly stated in all scripture than that the Son of God will come again in the glory of the Father to reward the righteous and to establish his kingdom in power, bringing in a reign of righteousness, and peace. “For the Son of man shall come in the glory of his Father with his angels; and then he shall reward every man according to his works” (Matt. 16:27). This is the Church of Jesus Christ—reestablished by the Savior and his ancient Apostles. We are witnesses that President Kimball is God’s prophet, and that he is leading us in teaching the world the true gospel of Christ. God, our Eternal Father, lives, as does his Only Begotten Son, the Savior of us all, in whose holy name I testify, amen.